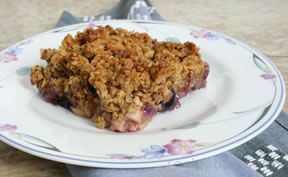 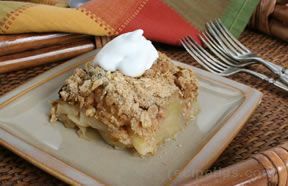 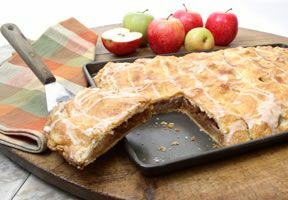 The basic ingredients of this All-American classic make it an easily prepared and delicious year-round favorite apple recipe. 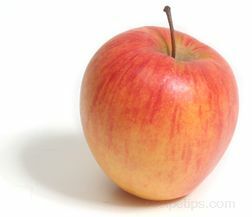 Select the perfect apple for your apple recipes with our apple selection guide. 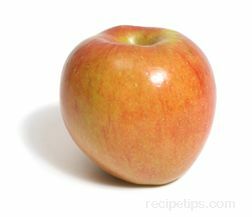 Learn how to prepare and cook apples in All About Apples. 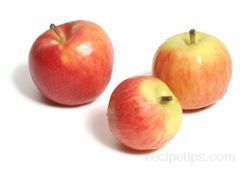 Peel, core, and slice apples into 1/2" to 3/4" thick slices and place in a large bowl. 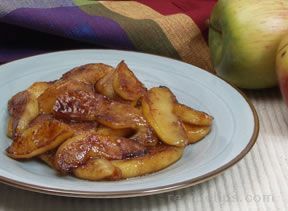 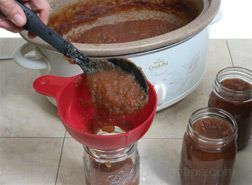 Mix sugar, cinnamon, nutmeg, and cornstarch together and sprinkle over the apples. 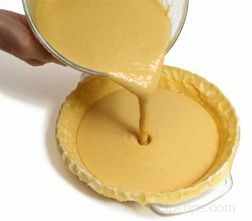 Place 1 crust in bottom of pie tin so that it overlaps the edges of pie tin. 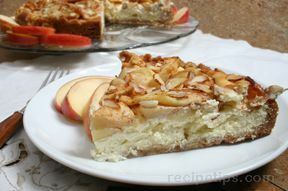 Pour sliced apples mixture on crust. 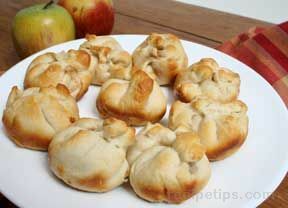 Dot apple mixture with butter (see TIP). 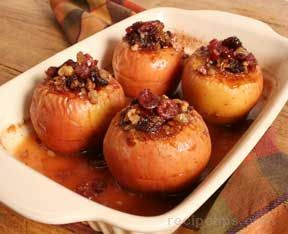 Cover apples with remaining crust. 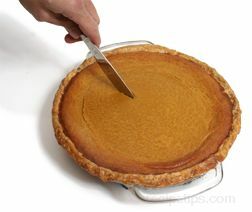 Crimp the top crust to the bottom crust. 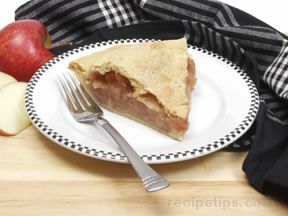 Cut approximately 6 slits in top crust. 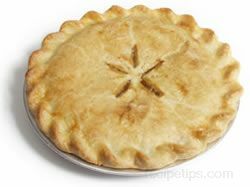 To prevent the crimped crust from overbrowning, cover crimped edges with aluminum foil. 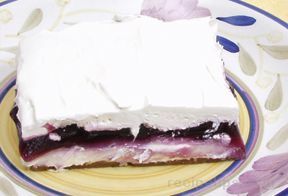 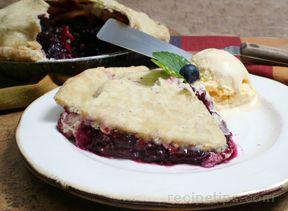 Place pie pan on baking sheet and place in oven. 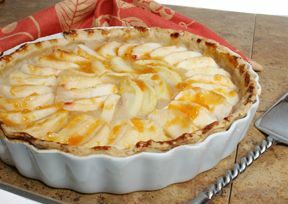 Bake 50-60 minutes or until crust is golden in color and apples are soft. 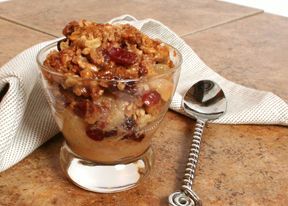 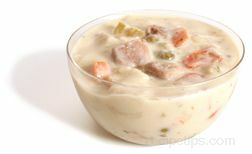 Serve warm or cold with your favorite topping. 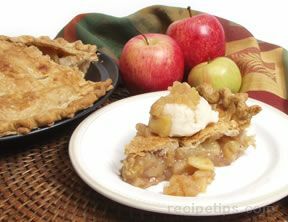 TIP: An easy way to dot with butter is to grate cold butter on a cheese grater and sprinkle grated butter over pie filling.